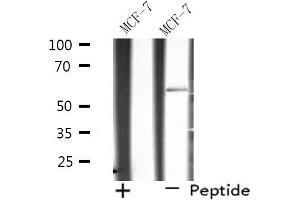 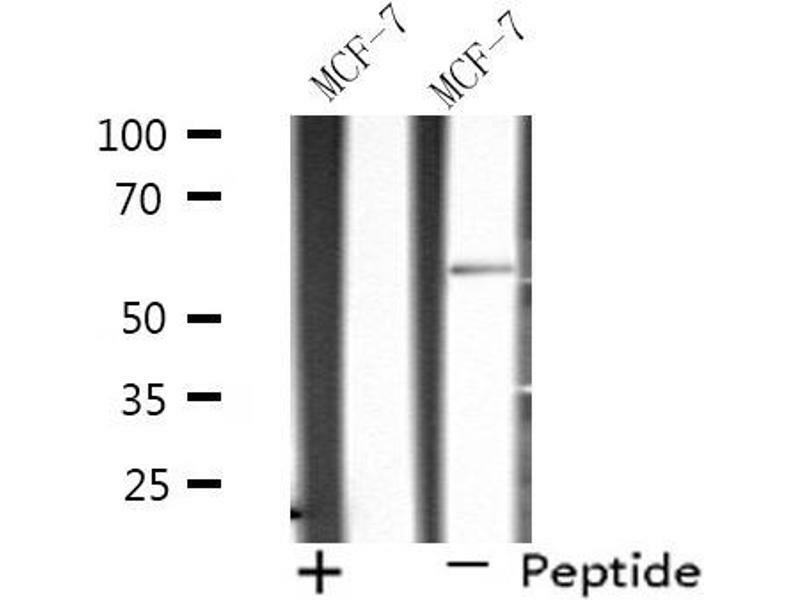 Western blot analysis of extracts from MCF-7 cells using SHC2 antibody. 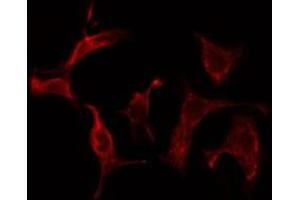 Description: Signaling adapter that couples activated growth factor receptors to signaling pathway in neurons. 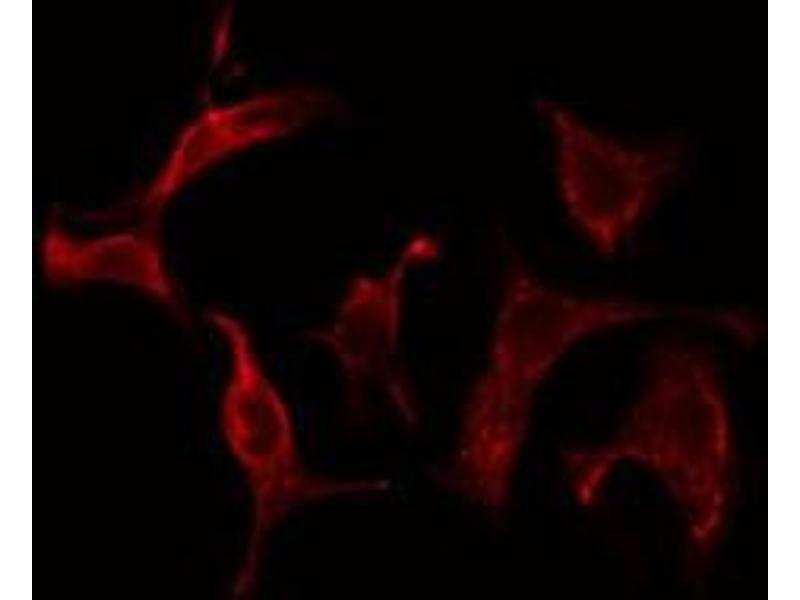 Involved in the signal transduction pathways of neurotrophin-activated Trk receptors in cortical neurons (By similarity).